Remember the other month when I talked about those free money coaching sessions at Capital One Cafe’s? And how I wished we had one here in DC because mixing money and coffee is BRILLIANT?? Well, I just got word that one opened up here in Chinatown – W00T! Specifically, at . So if you’re in the area, or want to be in the area, make sure to stop by and check it out! The event is part of their , where artists share personal stories on how listening has impacted their lives, followed by a private performance for everyone in attendance. Capital One wants to be the bank who actually LISTENS to what their customer want, and have since rolled out a number of new services aimed at doing exactly that (like their free money coaching services to everyone – customers and non-customers – as well as being more accessible (and engaging!) through all these new cafés they’re opening up). At any rate, that’s the news for today if you live here in DC… A new Capital One Café is now open where you can hang out, get help with your bank account, learn about new tools, products and technology, use the free WiFi to work, and most importantly – get 50% off your Peet’s coffee if you’re a Capital One cardholder :) And of course it’s open to the entire public too, who can also sign up to their free Money Coaching and Money Workshops. 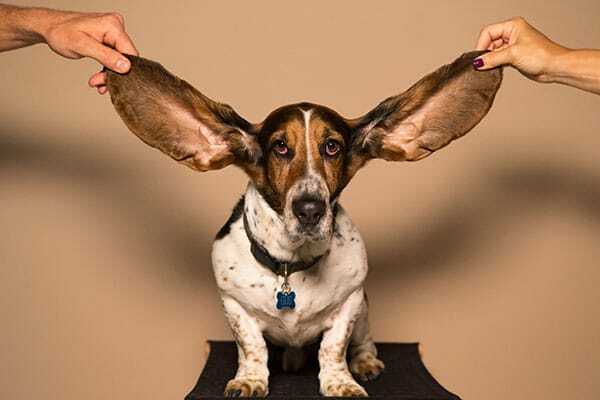 On this same subject of *listening*, I thought I’d chime in here and talk a little bit how it matters *WHO* you’re listening to as well, especially when it comes to your own personal finances. We’re always talking about how you gotta live your own life and not following The Joneses 24/7, and this is something I learned the hard way myself over a decade ago. It had been engrained in our heads our whole lives that owning a home was a right of passage and The American Dream, and everyone and their mothers (especially their mothers!) helped convince us this was true. Only of course, we all know it’s not true for *everyone*, and we soon found ourselves owning a home we shouldn’t have purchased to begin with and dealing with all the debt that followed. Long story short, we sold it and lost a BUCKET FULL in the process, but ever since I’ve made it my mission to only follow what *I* truly want out of life instead of what everyone else thinks is best for me. Sometimes it works out, and other times not, but it’s always on MY watch and according to MY values. Which is really the whole point of this money and decision stuff, right?? To go after the things that best fulfills you? You can still ask for advice and consult loved ones, of course, but at the end of the day only YOU know what truly matters to you, and if that happens to go against the grain, well, then it happens to go against the grain! Living everyone else’s life is easy, but living your own is hard. Do your best to remember what’s most important to you, and your loved ones will still be there to help you (hopefully!) along the way. Always know what ladder you’re on! Sounds about right ;) Doesn’t everyone spend $350,000 willy nilly like that???! Thank you for this particular blog. I have decided to leave my 9-5 as well and invest my time and money into myself! Finally listening to myself and following my own path! I’m excited to get around some like minded folks. I hope I get to meet you at the Capitol One event! So if the tickets aren’t gone please send me a pair! I usually read your post through email but I wanted to come show some much deserved love on your blog because you’ve been one of my favorite motivational, virtual mentors! And you won yourself a pair of tickets!!! Party time!!! If you do ask your close friends and 3 of them advise against buying the house to try to flip it, do listen to them. At least long enough to understand their reasons and concerns. My ex bought the property and we (the 2 friends & I) helped with the renovation around our jobs, but he didn’t get it done in time to rent it out for the school year in a college town. He ended up selling for what he got it for, essentially losing all the money he put into the renovation and closing costs. It also factored into our eventual breakup. He felt like I hadn’t supported him enough. I felt like he asked my opinion and then did whatever he darn well pleased. There were other personality factors that became apparent in the process too. It’s one reason I would not try flipping a house on my own, or just relying on help from friends. If they haven’t committed to the project, setting expectations is important: friends, of what they are willing to give, and the project manager of what they need. Having a realistic timeline, and back up plans for the work to be done. There is a big difference in having the hours after work (2-4? ), vs all day to get tasks accomplished in the scope of the project. Thanks for this post which helps explain the Capital One Cafe concept. I picked up a promo card from them at a street fair in Chicago. I couldn’t figure out if it was a coffee shop or bank. A couple of weeks later I walked by one on Southport Ave in Chicago. Looking in the window, it looked like a cross between a coffee shop that used to be in Borders Bookstores and a place to just hang. The place even has a movie day with snacks. The Capital One Logo is prominent and large. It completely blew my mind. Next time I’m in the neighborhood, I’ll go and visit my CD! Haha yeah – do it!! I was a bit confused at first too, but the more I poked around and started seeing them pop up everywhere, the more I thought it was complete genius :) It’s hard to hate a bank that gives you a comfy place to crash and doesn’t even require you to be a customer! If I didn’t already have a thing next Thursday I’d be all over it — that’s just half a dozen miles from my house! My wife’s a cardholder; maybe we’ll check it out sometime. It is nice these days that you can stay as far away from banks as you’d like :) It really changed when you could deposit checks right from your phone! I applaud you for living on your terms. It takes a strong will bordering on stubbornness to shun everyone else’s ideas of what life should be like for you. In some respects its the worst form of peer pressure. I try not to fault my mom or anyone else for the advice they give. They only know what has got them through to this point, they give their best advice based on experience. The problem is we don’t live in that world… the world where hard work and determination gets you ahead has long since passed. We live in a world where everyone is expendable and you can never rest on experience, a world of 80 hour work weeks and employers who just exist to take. They pay just enough to keep you on the edge of comfort but not so much that you can ever rest. Moral of the story, keep your bills so low that you can do whatever you want whenever you want. I mean in reality it prevents a great deal of things from ever becoming issues in the first place. Amen, brother… When are you going to get your own blog going to pass these nuggets farther around for people?? You always have such strong (and usually thought-provoking) feelings on things! Appreciate it. Setting everything up is more than I want to take on right now, maybe one day. J, I’ve been wanting to ask and this is the perfect time. Do you ever regret leaving the Money Show podcast? Is that a decision you would do differently if you could go back? Haha nope! Not at all! I miss the engagement and working on a new project with folks I love, but I don’t miss the act of podcasting at all. Just wasn’t for me, and as you can see Paula is on fire over there and totally free’d up to do things her own way and it’s working! So no regrets leaving the show an ounce, but I’m super glad I tried it out so now I know what it’s about :) And it also allowed me to stay at home with my boys now too, which wouldn’t have been possible! Hey Tri! We do! There’s always someone putting together something for the DC folks :) I’ll add your email to my internal list so you’re notified the next time we get together.